I love my new life in Altea Spain. However, there are some quirky and unexpected things which I have encountered or needed to adjust to. I recently read that when local children were enacting a bull run using toy wooden bulls that this year they would not be allowed to have the bulls’ horns lit on fire during the run. Apparently this was perfectly fine in prior years. 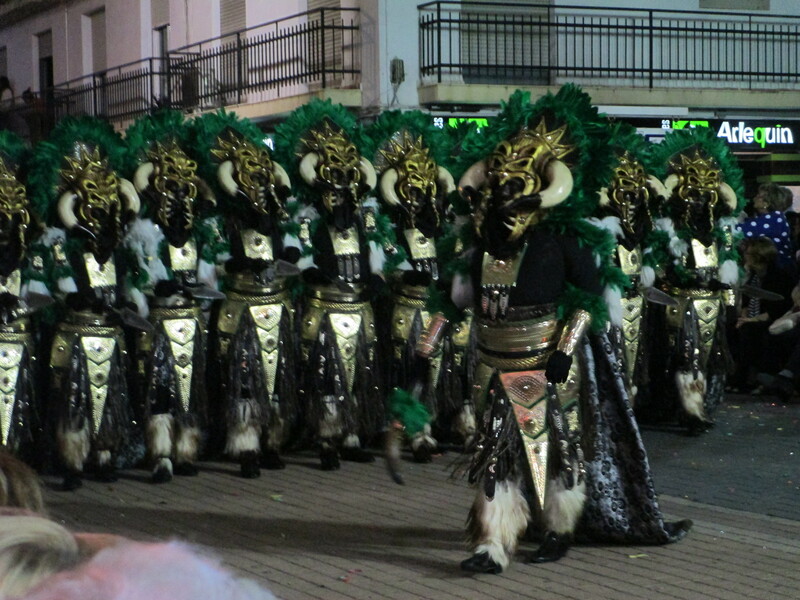 During the many Spanish festivals, people sometimes engage in dangerous behavior. 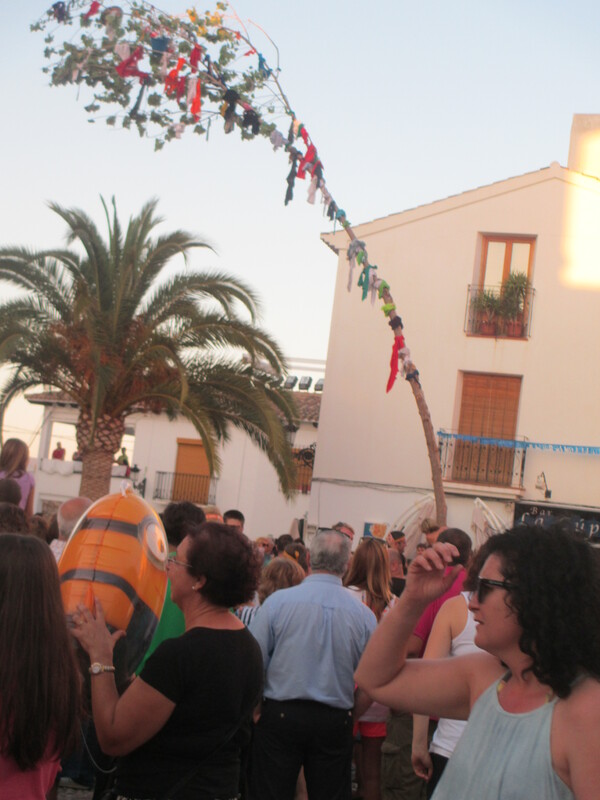 At the local St. John festival, participants carry a tree to the church plaza while encouraging observers to throw water on them. Once in the plaza, they pull the spindly tree to a vertical position and fueled with alcohol attempt to make the perilous climb to the top. What I found particularly interesting was the ambulances that were waiting just a few feet away. One has only to think of the running of the bulls in Pamplona for another example. Or the “baby jumping” festival near Burgos, where people in costumes jump over a mattress on which lie babies born in the prior 12 months. This ritual serves to rid the babies of evil spirits and guard against illness. As I have mentioned in prior posts, dealing with the Spanish bureaucracy is nearly always fraught with difficulties, often because what you are told you need to do changes with successive visits. Similarly, I have had my rental cars towed two of the four times I rented them. In one case, I parked in a handicapped spot and put up my disabled placard. When I returned to retrieve the car, it was gone. When I contacted the local police, they informed me I had parked in a handicap spot reserved for a specific car, as indicated by the numbers on the handicap parking sign. I said I have travelled to and driven in many countries, and have never seen handicap spots for specific vehicles. I received a blank look, and was told I had to fork over around $150 to get the car out of impound. I have also previously mentioned the multiplicity of problems I have had in receiving packages sent from the U.S. One box arrived gaping open, with items missing. Then the postman asked me to help carry it because it weighed a lot. Another box of household items was twice returned to my son, first because I declared there was no monetary value to items which were only sentimental, and the second because they did not see the documentation that I had submitted the nearly 100 Euros customs fee. I have been trying unsuccessfully for more than two months to get a refund for that, and there is no chance of getting a refund on for the hundreds of dollars I spent in having the box mailed here twice. The sidewalks in my village are made of attractive, but incredibly slick tiles, especially when wet. It is so precarious that people typically walk in the road when it rains. I see many more people here with arms and legs in splints or casts, which I would bet is related to the falls people have. I have jokingly suggested that maybe the tile sidewalks were the idea of the local orthopedic physicians. The Spanish definition of opening early means 9 or 10 in the morning. Such opening times are understandable in light of the lengthy afternoon siesta, and businesses and meals occurring late at night. Often when businesses close for several weeks or months, there is no sign informing the would-be patron of the closure. Nor are there websites for businesses which provide that information. Businesses including grocery stores are closed for national and local holidays, which can sometimes last several days. After the several day local Moros y Cristianos (Moors and Christians) festival, all businesses were closed for the day, not for the holiday but for a day for people to recover from the festival. After four days of festivities and drinking starting at 8 or 9 in the morning, and ending around 4 a.m., they need a recovery day. I find Spanish people generally genial, and polite. They always greet you when you enter their business. In their vehicles, they are very good at stopping for pedestrians at crosswalks. However, when walking, they may suddenly cut right in front of you or stop and block the sidewalk while conversing. When picking up my dog’s excrement from the sidewalk, I have had people step over my head, and roll over my foot with a stroller. Sometimes there are what seem to be arbitrary rules. When we recently went to a high end musical and dance variety show which featured a choice of two dinner menus, we were told everyone in our group had to order the same menu. Otherwise, we would be placed at separate tables based on our dinner choice. Have you ever encountered unexpected behaviors/customs while living in or travelling to a new country?